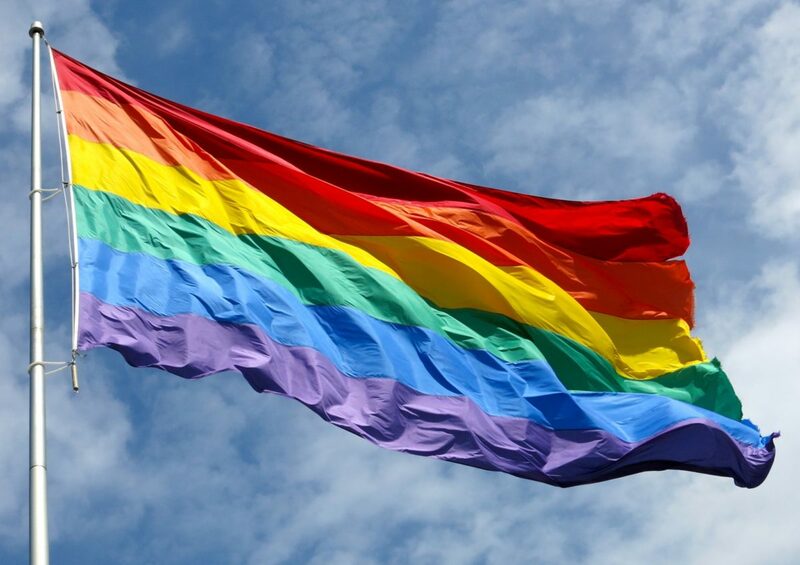 Recent statistics on asylum grants to gay people represent a breakthrough rather than a breakdown in the system – acting as a sword, rather than shield, in advancing protection of queer refugees, argues S Chelvan of No5 Barristers Chambers. Long-awaited experimental statistics on asylum claims based on sexual orientation were published on 30 November for the first time. They are labelled “experimental” because the Home Office highlights a 12% margin of error based on inaccurate recording of claims, so approach the data with caution. Experimental or not, the statistics were lambasted as a travesty by activists, lobbyists and successfully lobbied politicians. Headlines such as “the UK has rejected thousands of gay asylum seekers” quickly proliferated. Publications like PinkNews were striving to highlight what they saw as a stain on the UK’s treatment of lesbian, gay and bisexual (‘LGB’) refugees to quite rightly spark a debate, but failed to address the victory publication potentially could bring, to radically reconfigure the UK’s approach to refugee status determination of gay applicants. In HJ (Iran) and HT (Cameroon)  UKSC 31, the Supreme Court struck down the “reasonably tolerable discretion test”. The test required the queer refugee to establish that discretion (concealment, telling lies for the rest of their life) “voluntarily” employed on return to countries where it was accepted persecution exists was not “reasonably tolerable”. This led to troubling findings, including one Court of Appeal judgment where there was psychiatric evidence that concealment would lead to a nervous breakdown being held not to cross the “reasonable tolerability” threshold (see RG (Colombia)  EWCA Civ 57). The UK Lesbian and Gay Immigration Group in its pre-HJ (Iran) report, Failing the Grade, had analysed 50 asylum applications brought to its attention, noting that 98% of those applications had been rejected on the reasonably tolerable discretion test, compared to 73% of non-gay claims. (The discretion test was not applied to trans or intersex claims, and is only reported in one Iranian Christian case, that of SZ and JM (Christians – FS confirmed) Iran CG  UKAIT 00082). See paragraph 82 per Lord Rodger, recently revisited by the Court of Appeal in LC (Albania)  EWCA Civ 351. The fear amongst activists and activist lawyers was that post-HJ (Iran) the UK would take the dark and winding path of Australia. In the words of the Australian legal scholar Jenni Millbank, that jurisdiction moved from “discretion to disbelief” following the striking down of the reasonably tolerable discretion test by the High Court of Australia in the 2003 case of Appellants S395 and S396  HCA 71. What had to be avoided following HJ (Iran) was a high and discriminatory rejection rate for LGB asylum applicants being maintained on the basis of disbelief instead of discretion – i.e. the same rate of rejection but on the basis of failing to “prove queer”. Quickly, anecdotal evidence amongst the chattering lawyers of EC4 was a noticeable upturn in initial grants. Those who follow Twitter would periodically read, even very recently, NGOs proudly announcing the number of grants amongst clients. However, without facts and figures, it would be impossible to focus attention on what needed to be done. Only Norway and Belgium produce statistics. Other nations in Europe are unable to obtain statistics, because of legal or administrative barriers. On a recent visit to Stockholm, this author was informed that Sweden has legislation prohibiting publication. Back in the UK, this author can recall a meeting with the Home Office at the ILPA’s office in 2011, pressing for publication of these statistics to address those who had been then recently rejected under the pre-HJ (Iran) test. The vocal requests faced a clear response – reliable data collection was the biggest hurdle. Six years later, the Home Office after years of repeated lobbying has (one assumes reluctantly) published this data. But it highlights the continued fear of unreliable recording of where the initial claim raised sexual orientation. The data was extracted on 30 September 2017. It shows initial claims and finally determined appeals between 1 July 2015 (prior to the publication of the John Vine report in October 2015 with recommendations following the public outrage arising from sexually explicit questioning) and 31 March 2017 (prior to the August 2017 grant of asylum to the internationally recognised Nigerian lesbian activist Aderonke Apata after a 13-year battle). The total number of LGB asylum claims is 6% of total claims (3,535 out of 58,761), with a 25% initial decision grant rate. The grant rate for all claims (including gay claims) is 31%. There is no record of the division between the claims of gay, lesbian or bisexual people, and there is no publication of data relating to gender identity or expression claims. In April 2010 Stonewall’s No Going Back report focussed on the culture of disbelief endemic within the Home Office caseworker departments with respect to Jamaican gay asylum claims. “Not Another Jamaican” has been replaced with “Not Another Pakistani gay case”. The largest number of gay claims in this report comes from Pakistan: 1,000 out of a total number of 5,059 claims (20%). Only 57 Jamaican asylum claims based on sexual orientation were made in the same period. The changes in the Tier 4 student rules transformed safe harbour via the student route, forcing people to take the perilous route of asylum claims to prevent return, leading to Pakistan taking over from Jamaica’s earlier mantle. Pakistani claims generated a staggering 700 refusals. Discounting “other outcomes” (which include withdrawn claims) and claims still in progress, this amounts to a 24% initial grant rate. This is still greater than the 2% general initial grant rate recorded by UKLGIG in 2010. But given that the country information for Pakistan indicates risk to LGB people, it is troubling. All the same, 39% of Pakistani appeals were allowed. Appellants are successfully proving their sexual identity. Only in 2016 have Presenting Officers been provided with training on credibility assessment in gay claims, specifically the Difference, Stigma, Shame and Harm (‘DSSH’) model. Caseworkers were trained in early 2015. Nevertheless, the model is not universally applied and decision-makers may need refresher training. Adding further confusion to decision-making and onward litigation, the Secretary of State’s 20 Sexual Orientation and Gender Identity country policy documents (recently rebranded as Country Policy and Information Notes, or CPINs) all fail nearly eight years on from HJ (Iran) to address head-on the second limb of Lord Rodger’s guidelines and publish unambiguous statements on whether “openly LGB people face a well-founded fear of persecution”. This should be quite a straightforward task in countries including Uganda (with a record 67% proportion of total Ugandan claims and a 55% initial grant rate), Iran, Cameroon, Pakistan and Iraq, where a large proportion of negative decisions and dismissed appeals originate from. The Home Office continues not to provide clear guidance, and relies on a case-by-case analysis unlawfully, whereas this second limb is purely an objective and not subjective criteria. As recently as last month, the November 2017 CPIN on Bangladesh, a country where as recently as 2016 gay journalists were murdered with no successful prosecution, was interpreted by a Senior Presenting Officer before the Upper Tribunal as not accepting risk on return to gay men, highlighting that lack of clarity is potentially dangerous (fortunately the judge did not agree with the SPO – see Nath Gbikpi’s blog on the Wesley Gryk website). Until the Home Office starts to actually address the second limb of HJ (Iran) – looking at those living openly, rather than the general risk, as the number of gay martyrs in persecutory nations will clearly be small – mistakes and incorrect interpretation of country evidence will continue. Not a single gay Sri Lankan asylum claim led to a grant of protection at initial decision, with just under 68% being dismissed on appeal. This is notwithstanding the Upper Tribunal determining in the unreported decision of SASS that the September 2015 CIPN supported risk on return. Arguably these dismissed claims were predominantly embedded in incorrect interpretation of the country background position by decision-makers, rather than “false” claims. LH and IP, the appellants in the 2015 country guidance case, have successfully brought a fresh claim based on SASS, and are back before the First-Tier Tribunal next spring. Miscarriages of justice are further evidenced in the case of Albanian gay claims. Whilst only 3% of all Albanian claims made in this period were based on sexual orientation, 66 out of those 95 were refused. The majority would have been decided on applying the 2009 country guidance case of MK (Albania). That case had been set aside by the Court of Appeal in October 2011 but continued to be applied by the Home Office, the tribunals and the courts until successful litigation before the Upper Tribunal in September 2016 (DD) and the Court of Appeal in April 2017 (LC (Albania)). By having the (raw) data a case can be clearly be made, with respect to Albania, and Sri Lanka, about the negative impact of the Home Office’s lack of compliance with the rule of law. Is this not a sword rather than shield, in advancing and enlarging protection claims and UK compliance with the Refugee Convention? Noting the historical context, publication must, in this author’s opinion, be heralded as a victory, and a success, as it provides a platform for future publication and then analysis of trends. We can be reassured the system no longer systematically and disproportionately refuses claims based on sexual orientation, as compared to 2010’s 98% exclusion rates. Yes, there is much work still to be done, but at last we have some (experimental) data, and as Bacon said, “Knowledge is Power”. 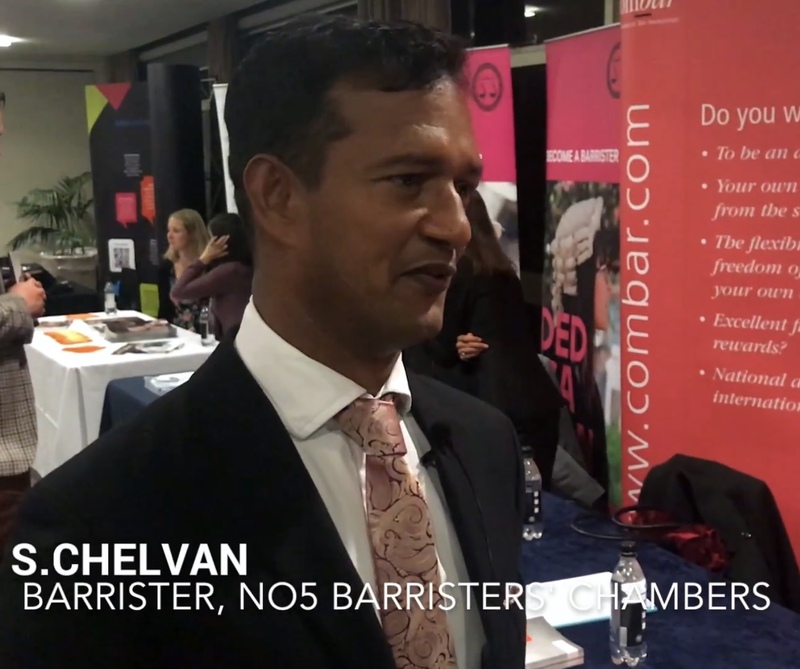 Chelvan is a barrister at No5 Barristers Chambers, based in London. He has an international reputation as an activist/academic/advocate relating to protection and human rights claims based on sexual or gender identity or expression, in “Europe and beyond” (UNHCR Ireland, December 2017).